Baby keeps growing, despite being so crowded in there. He probably weighs around 6.2 to 9.2 pounds and measures about 18.9 to 20.9 inches. 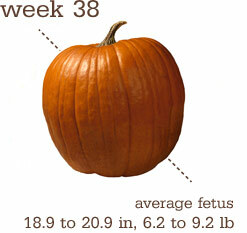 By week 39, your baby is probably able to flex his limbs. His brain is still rapidly developing and he’s getting smarter by the week! Today – pretty good. Yesterday and Sunday, not so much. I’ve been having some pubic symphysis pain on and off…which makes movement uncomfortable, and on Sunday, I stood up very quickly from a sitting position and almost immediately that seemed to make everything shift and separate a bit more and the pain was even worse. I was pretty much useless for the rest of the day and most of the day Monday, as well. I just had to sit still and rest. Which…seems to have helped, because last night and today it feels much, much better! Still not gone all the way, but that probably won’t really resolve itself until after I have the baby and all the hormones level out and my ligaments start to go back to normal. It’s pretty hard to get out of bed at night, and since I am waking up to go to the bathroom about 4 or 5 times a night, it is kind of an ordeal. I have to move VERY slowly and while I don’t particularly watch the clock, I imagine it takes me about a full minute to roll over, sit up and get up out of the bed and moving towards the bathroom. At my appt yesterday, everything checked out fine. My blood pressure was good (116/78), baby’s heartrate was around 142 and he’s still definitely head down, with his hand up by his face. (Urijah was in that position, too!) 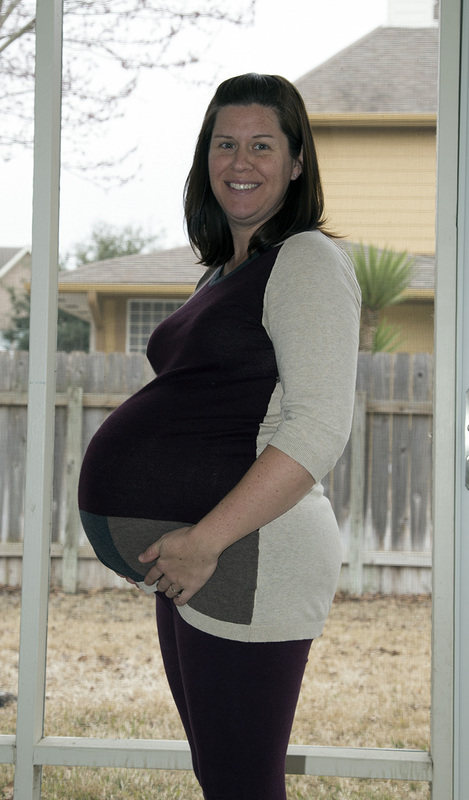 So…we went ahead and scheduled the 40 week appt. We’ll see if I get to that point! The midwife did say that it didn’t feel like the baby was all the way down in my pelvis and that his head was sort of right at the edge of my pubic bone (which was probably also contributing to the pain since that area is already tender). Wouldn’t is just be unexpected if I go overdue with this one? I don’t think anyone would have seen that coming! I miss not being in pain….I remember at the end of my pregnancy with U, I had really bad sciatic pain and I really felt for anyone who dealt with chronic pain, because it is downright miserable. And this time, it is this pubic symphysis pain that makes standing up, rolling over, walking, etc, all pretty darn uncomfortable. Once it’s all done, I’ll be glad. Looking forward to? I think that’s pretty obvious. The infant car seat is now installed in the backseat of the car! Urijah’s seat got moved to behind the driver’s seat, because with the infant seat installed rear-facing, you can’t fully slide the drivers seat back, so we had to switch the seats so that the front passenger just has to sit a notch or two forward to accommodate. Seems like a better option to make sure that the driver is seated comfortably, huh? I got nothin. Just taking it day by day. I’m looking pretty raggedy right now, or else I would just take a quick one in the mirror. I’ll see about getting Scott to take one this evening. 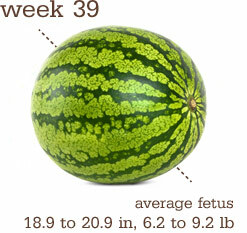 By week 38, your baby may have about an inch or so of hair already. She’s also slowly shedding that white goo on her skin (called vernix caseosa), but you might still see some of it at birth. Sort of on repeat here….it seems to change by the hour! Sometimes I feel ok and somewhat normal, and then in no time I feel like I’ve been run over by a bus and can barely move around. Last night I bailed early and went to bed around 10:00pm. I just wanted to lay down so badly…so I read for a bit and then got sleepy. I woke up at 12:45pm completely sweaty and with raging heartburn. Misery. I turned down the heat, got a wet washcloth for my face and ate a few tums and after about ten minutes I had cooled down enough to lay back down and then I was able to sleep like a rock till about 5:45am. I’m pretty sure the baby is still head down, when I go by how the movements feel, but my 38 week appt is later this afternoon, so they can confirm it then. It didn’t really occur to me until I was texting with Ali a day or two ago and she mentioned that I got to miss out on this really difficult last month of pregnancy last time…and it’s true! By this point last time, U was already a week old. And for the whole week before that, I was in labor anticipation mode, since my water had already broken. Puts a whole different spin on things when you know the end is imminent. But for all my griping and uncomfortableness, I’m really glad to keep this baby in longer. Looks like I’ve gained some! up to 29 lbs gained. I am looking forward to the birth! One, so I can be done being pregnant, but mostly because I remember the amazing feeling of strength and pride at what I had accomplished and I can’t wait to feel that again. 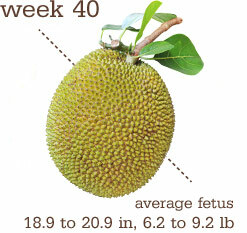 Plus, both Scott and I are so, so curious about what this baby will look like. We both imagine him as another Urijah, because that’s our point of reference, so it’s going to be a shock when he (most likely) comes out looking different! Well, Scott seems to be done with his nesting. Scott tends to nest way more than I do, (and in a much bigger fashion!) in preparation for babies….last time it was full-on nursery remodel and master bathroom remodel, and this time it has been carpet replacement, new water softener and new water heaters. Which, granted, all of that stuff has needed to have been done for a very long time, so…this was as good of a time as any, I guess! Our upstairs carpet, two water heaters and water softener were all original from when the house was built…in 1996. So, we got a very long life out of all of those things. It was time for replacements. As for me, I’ve washed baby clothes, bought some diapers, gotten U’s new room ready and pulled out the infant carseat and bouncy seat and all my nursing bras and clothes. So…I’m ready. I’m sure there was something big or exciting that happened, but I can’t think of it right now.